One of Britain’s most cherished stars looks set to have his moment in the sun once again. Crolla’s unexpected rise during the past four years was well documented. The Mancunian bounced back from domestic losses earlier in his career to the likes of Gary Sykes and Derry Mathews by climbing the lightweight mountain, defeating Colombian Darleys Perez over two fights for the WBA crown in 2015. A defence against the dangerous Ismael Barroso in front of the sold-out Manchester Arena cemented his standing as one of the best of the 135-pounders; the gruelling fights that followed against Jorge Linares grounded Crolla, with the Venezuelan winning two unanimous victories on away soil. A win against Ricky Burns in 2017 was labelled a “crossroads” fight for both, with a loss effectively leaving either of them with a domestic ceiling. Crolla won a convincing 12-rounder, with his promoter Eddie Hearn using that as a springboard to challenge for world honours again. 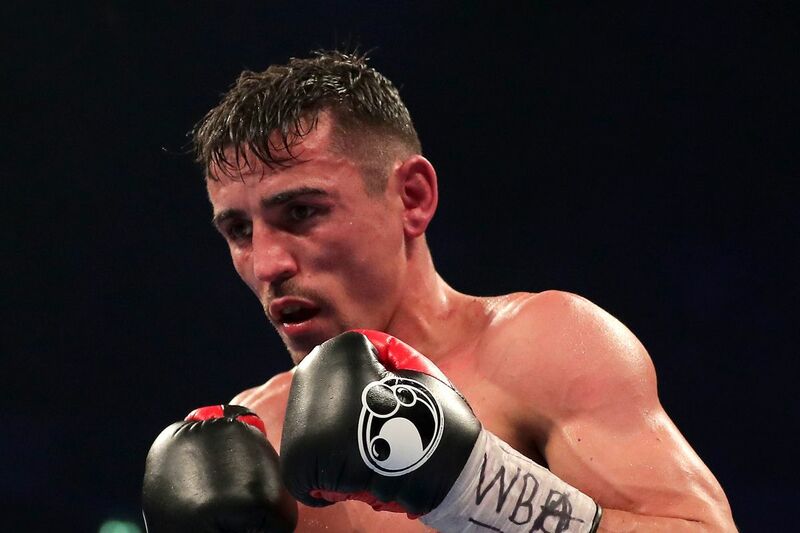 ’Million Dolla’ Crolla is unbeaten since his second loss to Linares in three fights, winning three UDs against credible opponents. His ranking with the WBA has opened the door to the pound-for-pound star Vasyl Lomachenko, with IBF champ Richard Commey unable to unify as expected due to a hand injury. With Commey expected to be out for six-eight weeks, the Ghanaian will have to bide his time, allowing Hearn and Crolla to swoop in during the interim. ”It’s a fight we’d love to have on DAZN, but at the same time, there will be purse bids called shortly,” Hearn stated. ”There’s two ways it goes: one is we accept a deal to fight on ESPN, which we’re more than open to, no problem at all. Or it goes to purse bid. ”And if it goes to purse bid, either DAZN wins it, or Lomachenko vacates. ”But my primary concern is to make sure Crolla gets the fight and we don’t want Lomachenko to vacate. ”So we’re fully committed to the talks with Top Rank, and we’re not looking to be difficult or political. Hearn will be confident going into purse bids for this fight with the weighty backing of DAZN behind him. Where the fight lands will need further negotiations; despite Loma openly stating his desire to fight in the UK, a Hatton-esque following to the States for Crolla would be guaranteed – it may be hard to turn down such a spectacle for the Mancunian. Loma is widely regarded as the sports pound-for-pound star, with Crolla undoubtedly aware of the size of the task that lies ahead of him. It’s another case of Hearn securing a mandatory for his fighter, and throwing them into the lion’s den hoping for a minor miracle. Daring to be great has become the tagline for a lot of British fighters over the past couple of years – but ‘daring’ has not been ‘to do’, with defeats to a plethora of challengers. This won’t stop the familiar narrative being spun as we get closer to this fight being made. Crolla’s best days are behind him, but his ‘fairytale’ persona will enable him and his team to believe the unthinkable ahead of twelve rounds trying to negate the Matrix. Crolla is one of the nicest guys in the sport, deserving of everything that comes his way because of boxing. His rise has engulfed the British public over the last four years; a credible performance against a future Hall-of-Famer is all he can really aim towards. Negotiations between Hearn and Arum will continue during the next couple of weeks, with both sides open to reaching a conclusion.